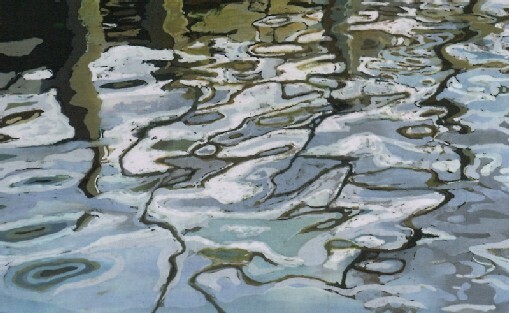 Abstract or semi-abstract batik/wax-resist images on cotton fabric or paper. 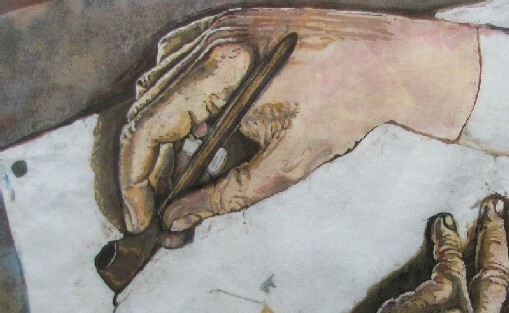 A canting (tjanting) and a dye brush are tools that I use when creating a batik. 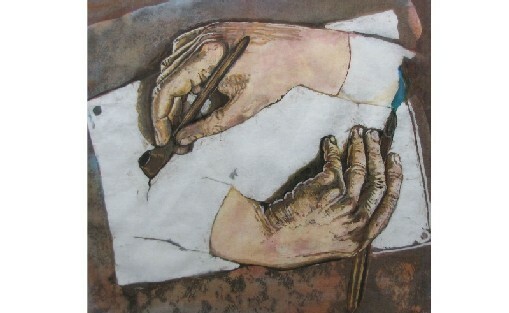 This was inspired by M.C.Escher's lithograph 'Drawing Hands'. 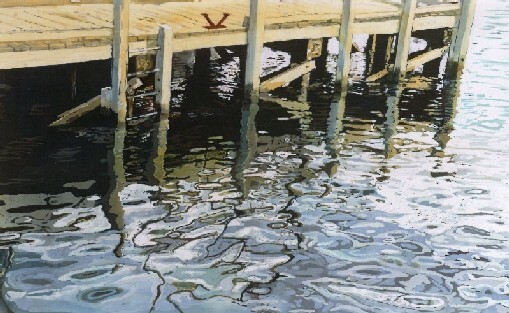 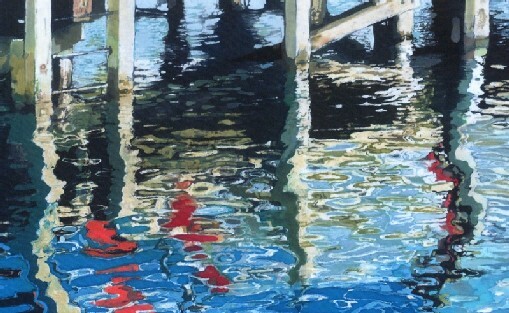 Reflections of red chairs and wharf. 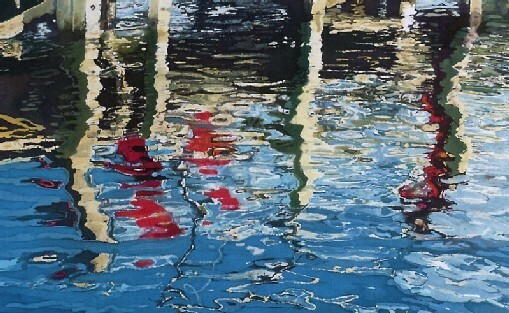 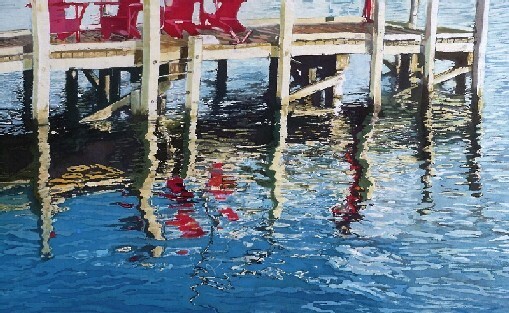 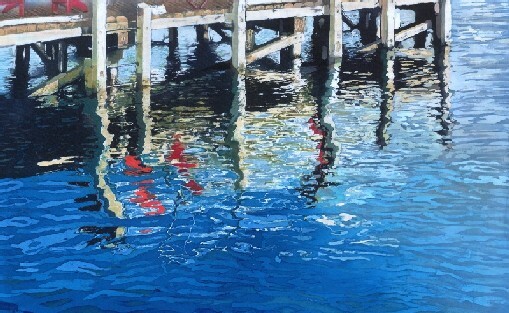 Reflections of red chairs and wharf in the sea. 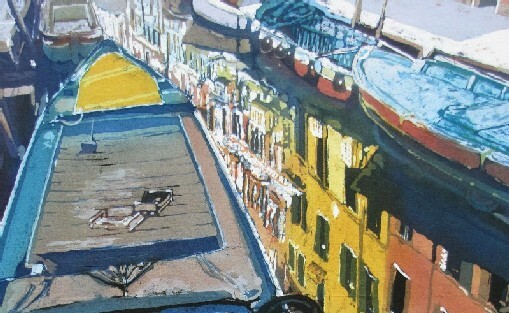 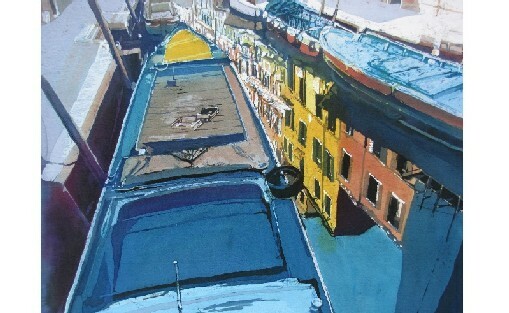 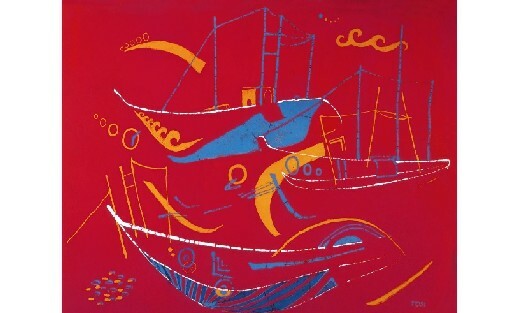 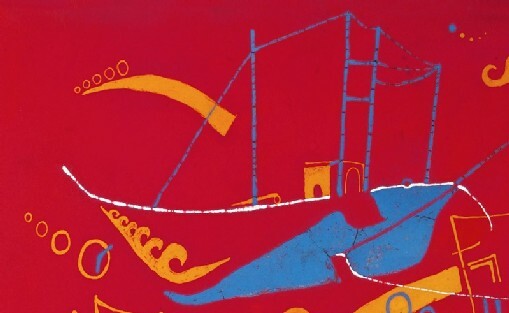 An abstract batik painting of Sri Lankan boats.